The public board that oversees Mayo Regional Hospital in Dover-Foxcroft has voted to begin a merger with Northern Light Health, the statewide health care organization that’s based in Brewer and includes Northern Light Eastern Maine Medical Center in Bangor. The board members, who are elected from 13 Piscataquis County communities served by the hospital and who oversee a quasi-municipal entity known as Hospital Administrative District No. 4, approved the merger agreement in a 15-3 vote during a meeting Wednesday night. During the meeting, multiple board members said that joining a larger health care system is necessary for the community-owned hospital to continue operating after years of operating losses. Before approving the merger agreement, the board also voted 14-2 to inform the district’s member communities that they may have to pay taxes in the coming year to help the hospital pay back its debts. The board’s treasurer, Jensen Bissell of Milo, expressed his hope that the merger would go forward and improve the hospital’s finances enough that the tax wouldn’t be needed. But he said the ability to tax member communities would be an important backstop. The hospital administrative district board has the ability under its charter to levy taxes to support Mayo Regional Hospital’s operations. Gerald Nessmann, a board member from Sebec who voted against the merger agreement, argued that the board did not have the authority to enter into the agreement and that the vote on Wednesday night deprived district residents of having a say in the matter. Nessmann, who sued the district last fall seeking more information about the arrangement, has questioned whether the hospital’s finances are as dire as administrators say and whether the member communities should give up a reserve fund that the district has saved. He also questioned the timing of the earlier vote on taxing communities, calling it “a scare tactic” meant to raise support for the merger. With the administrative district board’s vote behind them, hospital administrators now must seek various other key approvals for the merger to go forward, including from state regulators and the board of Northern Light Health, which runs nine hospitals stretching from Presque Isle to Portland, including one other in Piscataquis County: Northern Light CA Dean Hospital in Greenville. 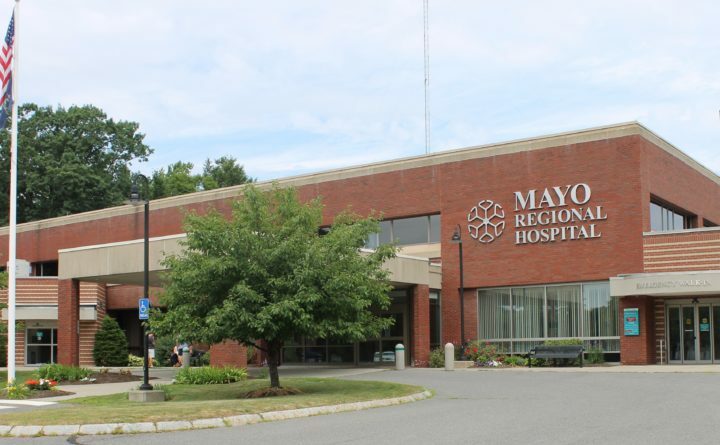 Mayo Regional Hospital administrators and board members are also pursuing state legislation that they have said is necessary for the merger to happen, because the district is governed by a charter that is set in Maine law. For Hospital Administrative District No. 4 to be dissolved, the charter requires an affirmative vote by all of its member communities. Upon dissolution, the charter indicates that hospital assets must be divided proportionally among member towns. But the legislation pursued by the hospital’s administrators would repeal the charter and remove the requirement that the member communities individually vote on ending the district, according to draft legislation that is included in the merger agreement. If the merger goes forward, the hospital would become its own nonprofit organization affiliated with Northern Light Health. Last week, Mayo Regional Hospital President and CEO Marie Vienneau said that joining the larger health care system will help keep Mayo Regional Hospital afloat after it’s suffered operating losses every year since 2010. While the district has $13.7 million in a reserve fund, the hospital also has $9 million in debt, a $1 million line of credit and zero days of operating cash on hand, according to Vienneau. If the merger were to go through, the reserves would probably be used to offset the hospital’s debts, she said last week.